Founder – Welcome to Infinity Institute International, Inc. A State Licensed School of Hypnosis. Anne H. Spencer, Ph.D. is the Founder and Director of the International Medical and Dental Hypnotherapy Association®. It is an outgrowth of her state licensed hypnosis training school, Infinity Institute International, Inc.
Dr. Spencer is an educator, author, radio and TV personality, an international speaker and Certified Hypnotherapist. She has been selected for inclusion in Who’s Who of America and of the World. Her master’s degree in education came from Marygrove College where she taught as an Adjunct Professor of Business. Dr. Spencer was inducted into the International Hypnosis Hall of Fame in 1995. She received the prestigious Dave Elman Award as Instructor of the Year in 1996. The Presidents Award 2000 was presented to Dr. Anne by the International Association of Counselors & Therapists. Today, she devotes her life to helping people change their lives through the power of the subconscious mind. Dr. Spencer’s vision is a door marked HYPNOTHERAPIST in every health care facility worldwide – staffed by IMDHA certified members. Dr. Spencer brings her years of valuable marketing experience into the classroom as well. By the time students finish her three courses in hypnosis they understand how to use hypnosis and how to operate a successful hypnotherapy practice. Infinity Institute has a Hypnosis and Holistic Living Store on the site. It includes, the newsletter called Subconsciously Speaking, books, tapes, CD’s and DVD’s of Hypnotherapists from around the world. In addition the IMDHA Annual Educational Conference recordings are available from 2001 to today. The conference is held the 4th weekend of October every year in the Detroit Metropolitan area of Michigan, USA. 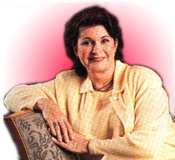 Dr. Anne’s memberships include: American Board of Hypnotherapy; American Pacific University; British National Register of Advanced Hypnotherapists, International Association of Counselors and Therapists, International Hypnosis Federation, International Hypnosis Hall of Fame Guild, National Guild of Hypnotists, and National Society of Hypnotherapists. The Infinity Institute learning experience offers students the opportunity to learn hypnosis, hypnotherapy and therapeutic touch academically and experientially. Students participate in exercises designed to enhance personal and professional growth as well as learn how to positively impact the lives of others.